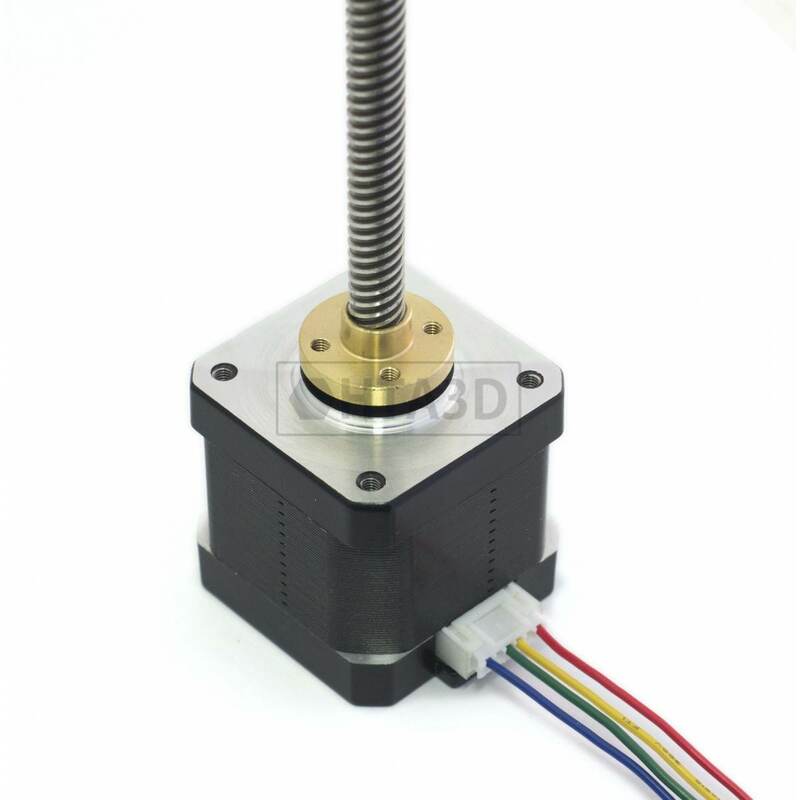 Precision motor T8x8 trapezoidal screw integral with the shaft. By eliminating the need for flexible couplings problems of shaft misalignment are eliminated and results in a more compact solution. De buena calidad, bien embalados sin riesgo de desperfectos por el camino, ha merecido la penasen duda. Entrega super rápida! Perfectos, justo lo que necesitaba para acabar con el wobbling y demás efectos desagradables producidos por un mal acople entre las varillas roscadas y el eje del motor. Estoy muy contento con el resultado en mi prusa I3. 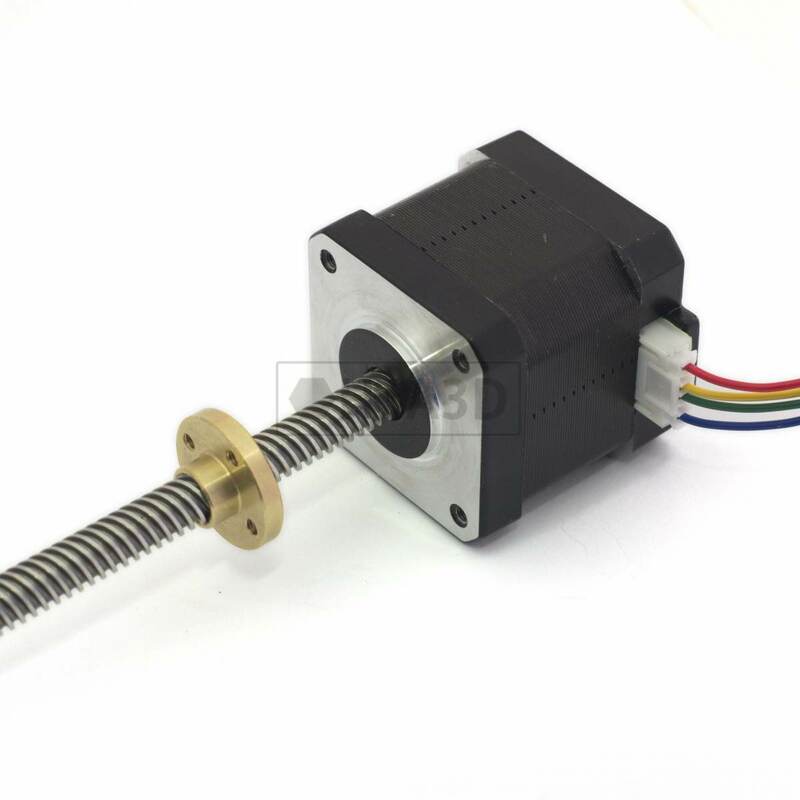 Includes two stepper motors with integrated leadscrew, plus two other motors for the X and Y axes..
Copper nuts are characterized by their resistance. 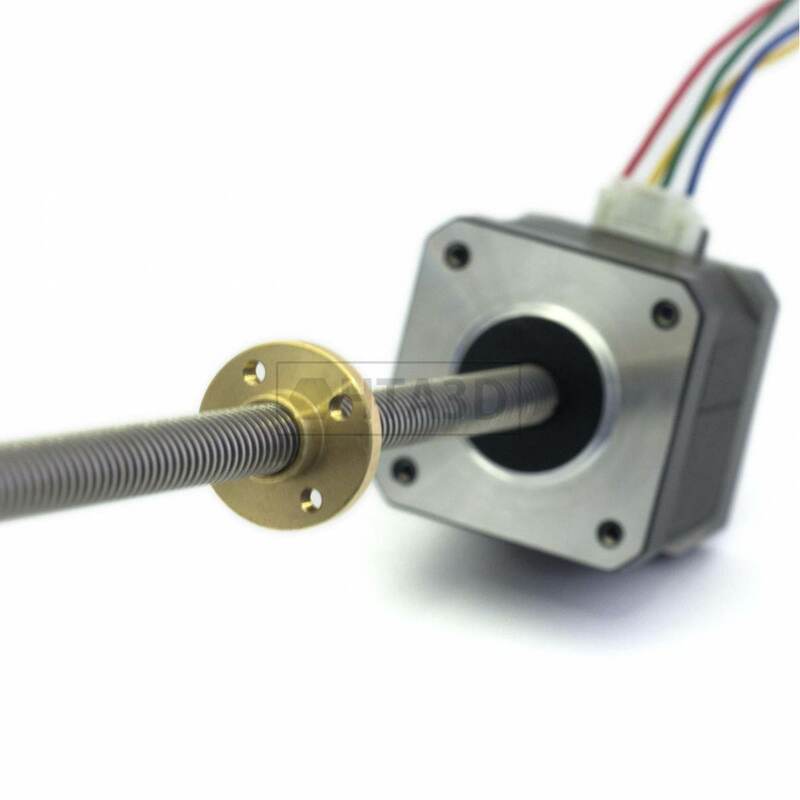 The POM is a material with a low friction that is machined very precisely, this makes the movement with these nuts is very precise and without play. 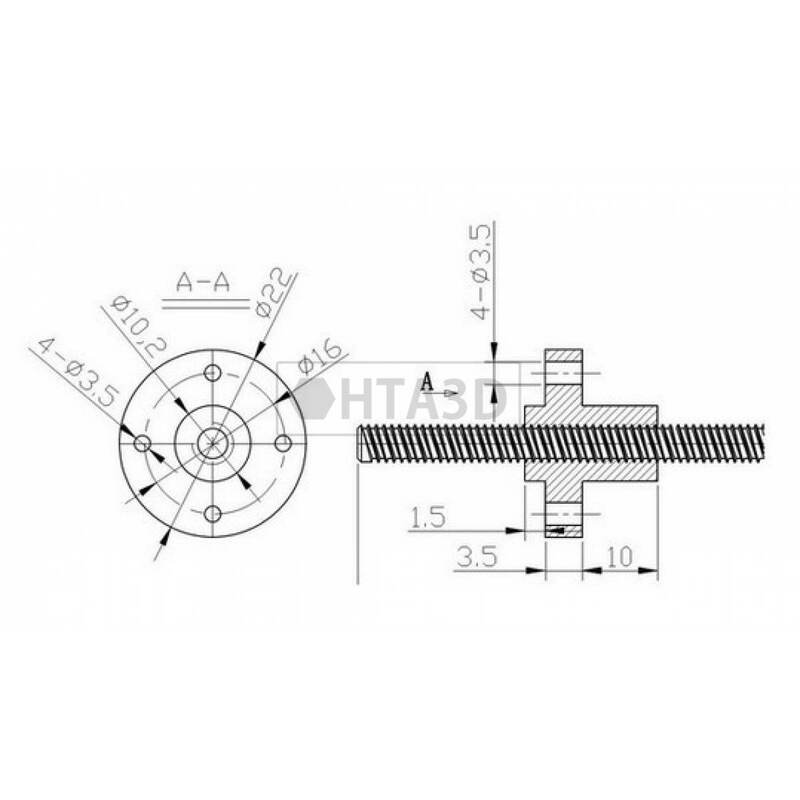 Dupont Cable 4P Female to Female They are used for Stepper Motors 70 cm aprox 1 Piece.. 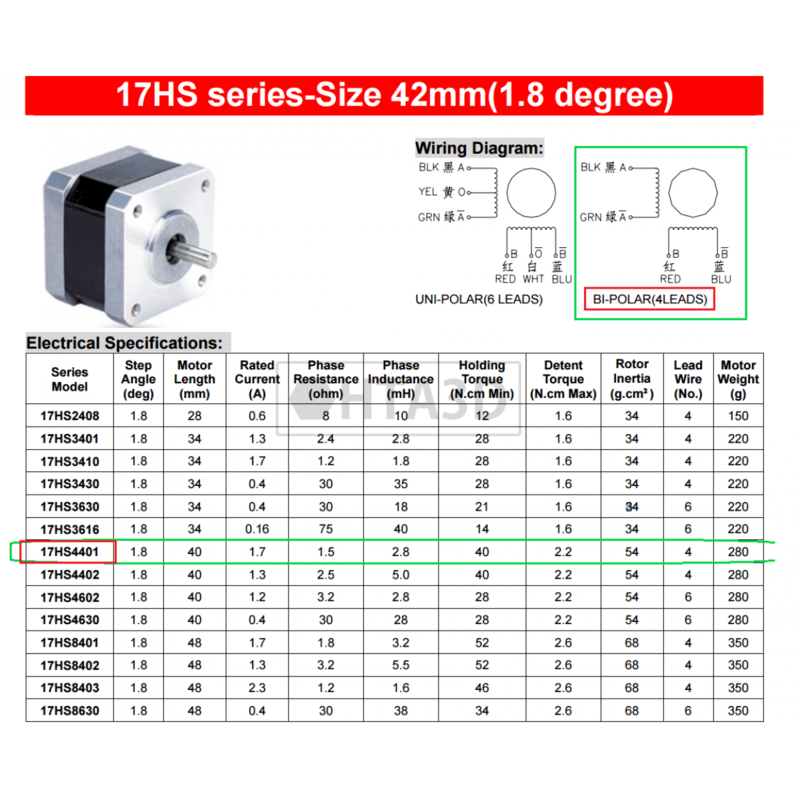 The LV8729 controller is a stepper motor driver. 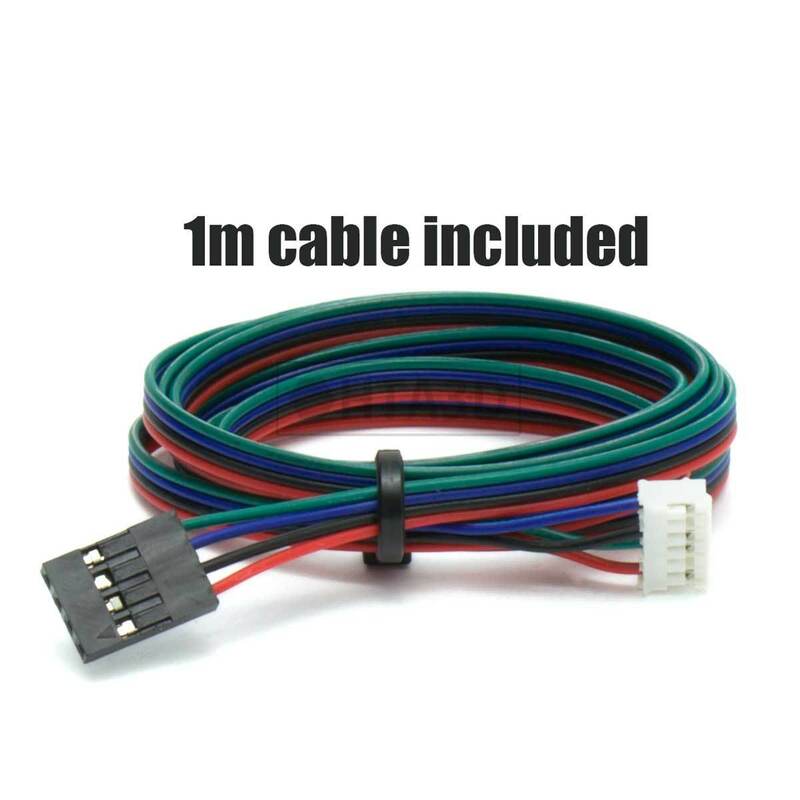 With a resolution of up to 1/128 steps it is very q..
Optical EndStop with cable and 3-pin connector 1 Piece .. It is commonly used to increase performance in Hotends All metal , is applied between the throat and..